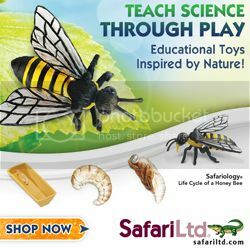 Puzzles are fantastic for learning and they are a great way to spend some time indoors. But did you know that you could make puzzles more exciting? We recently kicked the learning and fun up a notch by throwing in a scavenger hunt and counting. 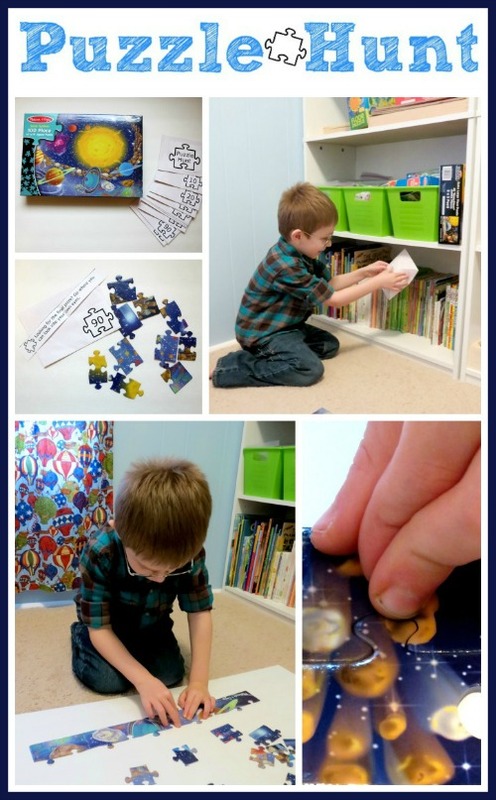 We received this 100 Piece Solar System Jigsaw Puzzle from Melissa & Doug and I eagerly set to work to create a fun new experience for R while sneaking in some counting by 10's practice. I divided the pieces up into ten separate envelopes and created rhyming clues for all the places I'd hide them. 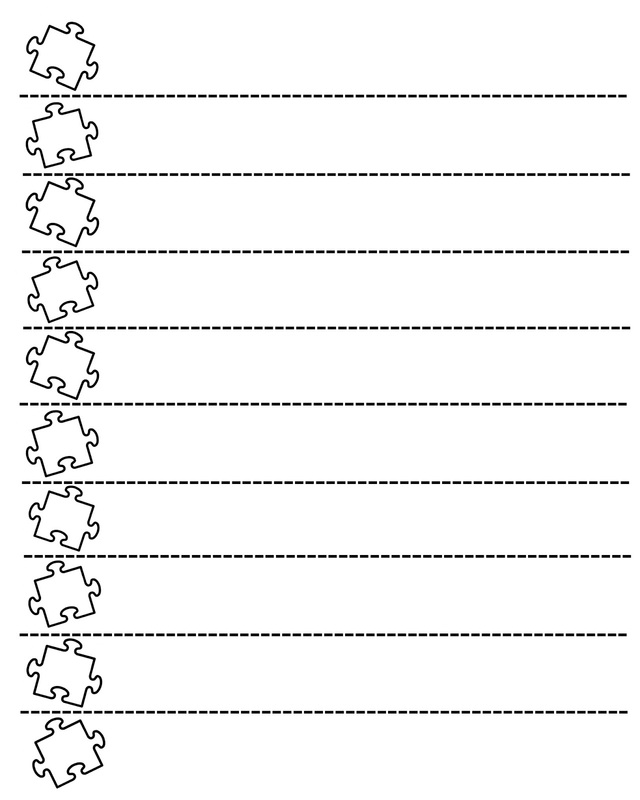 I turned our clues into a printable and simply cut the strips apart to include in the envelopes. 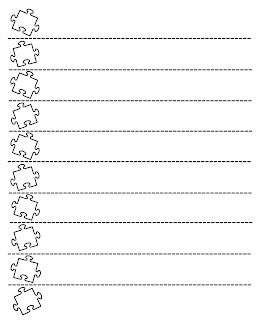 Please feel free to use these printables for your own puzzle hunt. 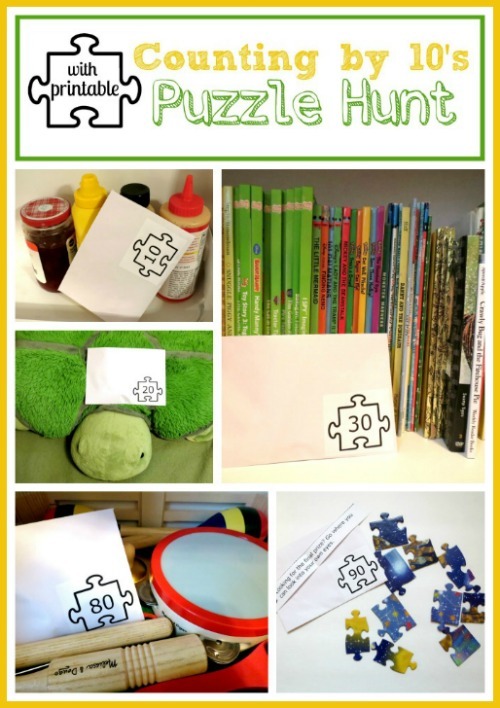 My clues were easy and focused on the places in our home rather than the numbers he'd be finding, so you could use the clues for any type of indoor scavenger hunt! I also created a blank clue sheet to share in case you'd like to make up your own. 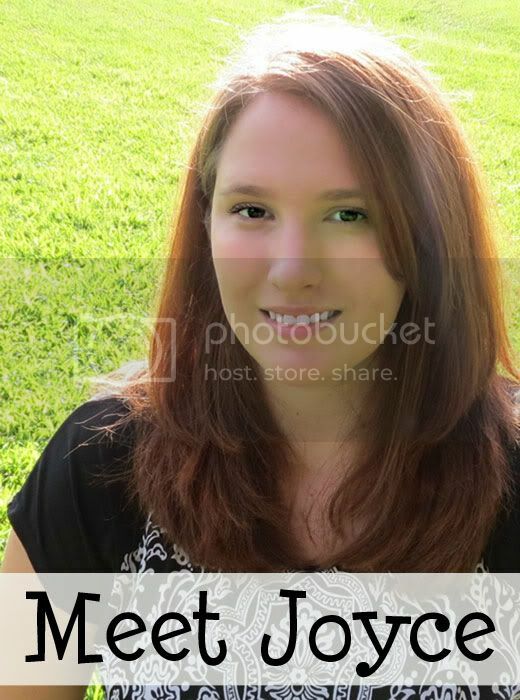 If you'd like either of these printables, just click on the picture, save and print! Once I had everything set up, I invited R to put together his new solar system puzzle. And oh was he puzzled when he opened up the box and found an envelope instead of the pieces! His confusion turned into excitement as I read the introduction and the first clue. Here's a fun little game to play! Read the clues and find the pieces along the way. 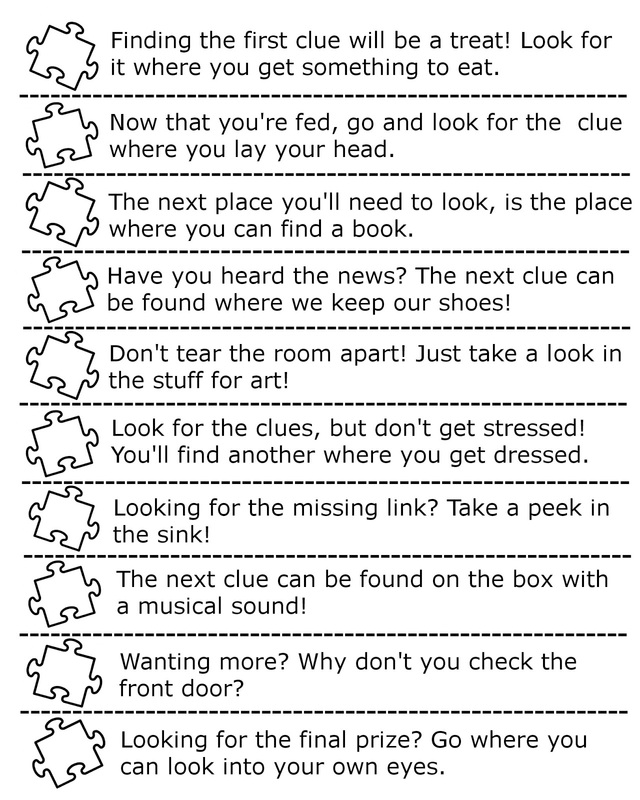 Finding the first clue will be a treat! Look for it where you get something to eat! 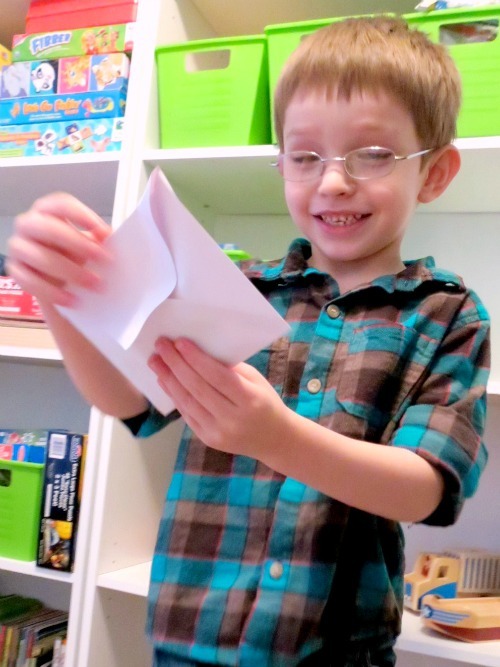 He had a blast running through the house to discover where each clue would take him. He would laugh and call out each group of ten, anxious to find all 100 pieces. And this scavenger hunt really had him running all over the house. He found pieces in the refrigerator, on his bed, in his box of musical instruments, and more. He even found one set taped to a mirror! The next round of fun began as we assembled the beautiful puzzle. R loves outer space and had a great time putting this one together. 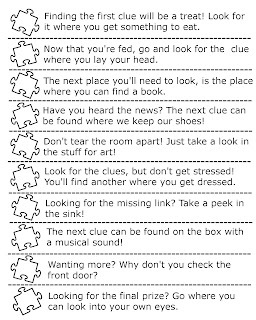 Do you have a fun clue or puzzle activity idea? Please share in the comments! This post came at the perfect time! I have been looking for ways to teach my preschooler how to count by 10s. Also, I laughed when I read about your son going to the dryer. :) We've definitely had times like that at our house. I've been wanting to get C doing larger puzzles without overwhelming her and I think this would be the perfect way!